In the world today, there are many reasons why blockchain is needed and sort after by many platforms and individuals; one such is the privacy attached to it. With blockchain technology, every user within such platform is secured from cyber attacks at the same time with blockchain technology, users will be able to send or receive assets or funds from anywhere in the world without any geolocation restrictions. It is worthy to know that every blockchain-based platform is decentralized through this way being transparent, reliable and trustworthy; that is to say, no iota of manipulation can take place once a record is signed. Owing to this possibilities within blockchain, the crypto space is now worth billions of USD dollars with many cryptocurrencies having the aim of solving problems either in the crypto space or the world at large. Therefore in order to contribute to the growth of blockchain as well as driving its mass adoption led to the creation of DigitalBits. DigitalBits is set to make many people know about blockchain and cryptocurrency. In order to achieve this, the current users need to be treated in such a way as to make them enjoy blockchain the more. 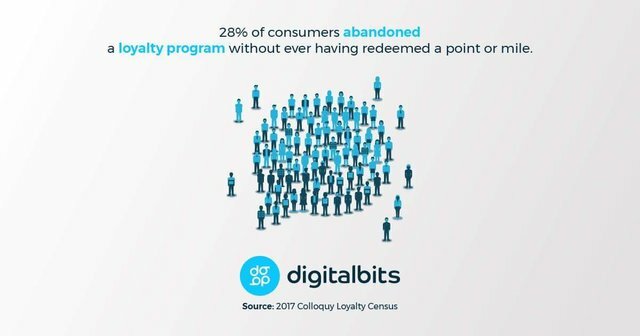 Thus, DigitalBits believes that owing to the fact most people are holders of legacy digital assets, therefore it will be necessary to offer tokenization of these digital assets. Accordingly by tokenization of these assets with the guide of blockchain technology, the utility of the assets will be enhanced while the learned behaviour stays unblemished. Likewise, to build liquidity of these assets which will contribute to mass adoption, DigitalBits protocol is utilized thereby guaranteeing incorporation with existing consumer applications. Through this way, DigitalBits will offer more improved user experience. DigitalBits being created as a protocol layer blockchain will be viewed as a next-generation platform that is tackling the difficulties of ease of use and mainstream adoption of blockchain in addition, advancing mass market liquidity of different cryptocurrencies while coordinating with existing applications at last driving mass market adoption of blockchain. In the same vein by using cutting edge technologies, highly experienced team and enterprise-grade execution, DigitalBits will prevail against all odds. Furthermore, another advantage associated with DigitalBits is that it can effectively foster high throughput, transfer and on-chain trading. DigitalBits is a blockchain protocol with a go-to-market strategy that tokenizes enterprise programs with existing digital assets. DigitalBits will also offer higher liquidity to the token with no immediate market using multi-hop transfer. XDB is the token of DigitalBits platform and will have a total supply of 100 billion.